join us at the 2015 Central America & Caribbean Regional Summit. september 24-26, 2015 in santo domingo, domincan republic. Join the College of Prayer International September 24-26 for our Central America and Caribbean Regional Summit. College of Prayer leaders and guests from around the region will gather for high worship, biblical teaching, God-encountering prayer, Christ-exalting fellowship and a life-changing 3 days in Santo Domingo, Dominican Republic. Discover your calling as a prayer leader. Experience the power of corporately crying out for a move of God. What should you expect at the Summit? Rev. 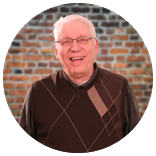 Don Young is Pioneer Director for the College of Prayer International. He works closely with our President and Regional Directors to oversee all current and developing campuses. Don and his wife Marlen have been involved with the College of Prayer International since its inception in 1997. He has been a facilitator, Board Member, teacher and Regional Director. The Young's were formerly missionaries in West Africa for 15 years and have traveled and ministered in more than 35 countries. They have served with other ministries and as President of a Bible College. Revival prayer is their passion and they continue to teach worldwide. 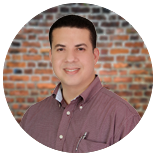 Pastor Yasser Vidal currently serves as an Assistant Pastor at House of Prayer Church, an organization belonging to the Christian and Missionary Alliance, an evangelical denomination. He also serves as Sub-Regional Director for Central America and the Caribbean for the College of Prayer International. In his professional career, he has a degree in advertising. He specializes in public relations, corporate communications and social media. Individual Rate: $35 USD - Includes materials, meals* & snacks. Group Rate: $26 USD - For groups registering 5 or more at the same time. Includes materials, meals* & snacks. Must register as a group by September 7. Couples Rate: $48 USD - Includes materials, meals* & snacks for both of you. After September 7th online registration will close and the cost will be $2,000 DOP per person. Click here for a map to be able to get directions to the church. Please note that this Regional Summit will be a God-encountering gathering designed to facilitate maximum impact for attendees. Therefore, we will not be offering childcare for any ages. Please plan accordingly. For those traveling to Santo Domingo, we are facilitating free housing at different homes arranged on a first-come-first-served basis, however, this service is limited. You must email Yasser Vidal at yasser@collegeofprayer.org immediately if you need housing. If you prefer to stay on your own, we suggest the Antiguo Hotel Europa located in the historic Colonial City, just a few miles from the church. Average rate is $70 per night with breakfast and WiFi included. Taxis: If you choose to take a taxi from the airport, it will cost around $40 one way. There will be taxi's waiting outside of baggage claim.